The pallet of CAD 1.0 Box Sets we shipped to Australia are set to arrive at dock next week, so I’ve opened up orders for those. There are 126 sets on this pallet. We sent this pallet to Australia because there were readers that expressed interest in owning one of these sets, but the cost to ship one from the US was just ridiculous. By shipping a bunch of books at once, we are able to lower the overall shipping cost. However, as a result of how long it takes for this pallet to get from here to there (and because there are now only like 100 sets stateside anyway), once these are gone we will not be sending any more pallets overseas. This is the last opportunity to get this book at this price. 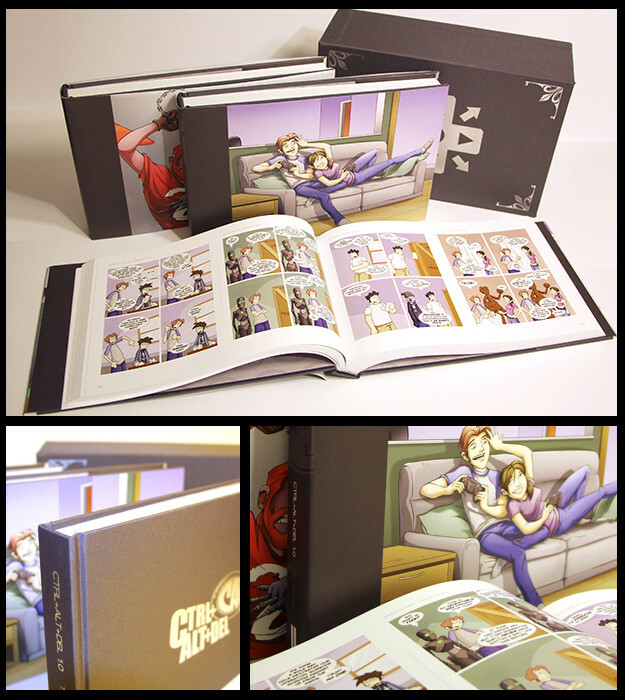 The entire first decade of Ctrl+Alt+Del, in hardcover book form, with a fancy storage slipcase. If you live in Australia (where the books are being sent), click the button below to lock in your order for a book set. Book + Shipping = $120. If you live in New Zealand, click the button below to lock in your order for a book set. Book + Shipping = $140. Like I said, we expect this to arrive next week (the 15th), and as soon as the pallet is released from customs, we can begin shipping to customers.